"In Western countries, dawa aims both to convert non-Muslims to political Islam and to bring about more extreme views among existing Muslims. The ultimate goal of dawa is to destroy the political institutions of a free society and replace them with strict sharia." 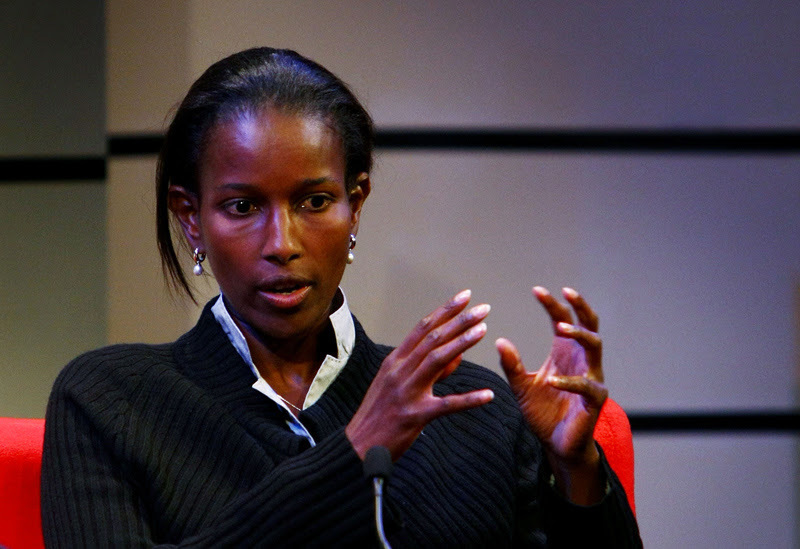 — Ayaan Hirsi Ali in her book, The Challenge of Dawa: Political Islam as Ideology and Movement and How to Counter It. The ultimate goal of establishing an Islamic state in the United States could hardly be much clearer. The pretense of caring for "diversity" and "inclusion" that ICNA displays on its public website cannot be characterized as anything other than an attempt at dissimulation, as is the stated goal of "establishing a place for Islam in America." If Western leadership is unable to fathom the danger posed by organizations such as Tablighi Jamaat, iERA and ICNA, and, according to critics, others such as CAIR and ISNA -- let alone do something about it, instead of endlessly obsessing over "Islamophobia" -- Qaradawi could be proven right. While the West is preoccupied with fighting "hate speech", "Islamophobia" and white supremacist groups, it appears more than willing to ignore the cultivation of Muslim hate speech and supremacist attitudes towards non-Muslims. It is a cultivation that occurs especially in the process of dawa, the Muslim practice of Islamic outreach or proselytizing, the results of which seem to have been on show this week in a downtown New York terror attack. The terrorist, Sayfullo Saipov, originally from Uzbekistan, was apparently only radicalized after he moved to the United States. The mosque he attended in New Jersey had been under surveillance by the NYPD since 2005. A 2016 U.S.-commissioned report said Uzbek nationals were "most likely to radicalize while working as migrants abroad," according to the U.S. State Department.